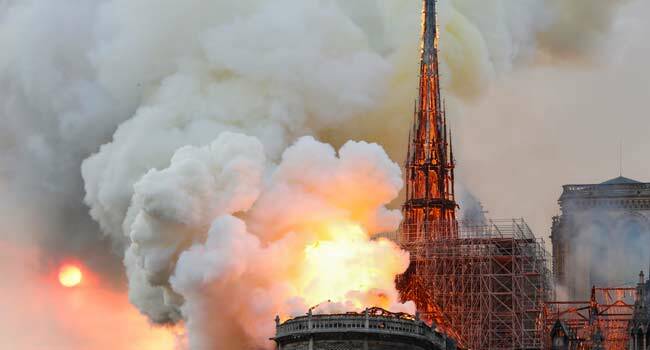 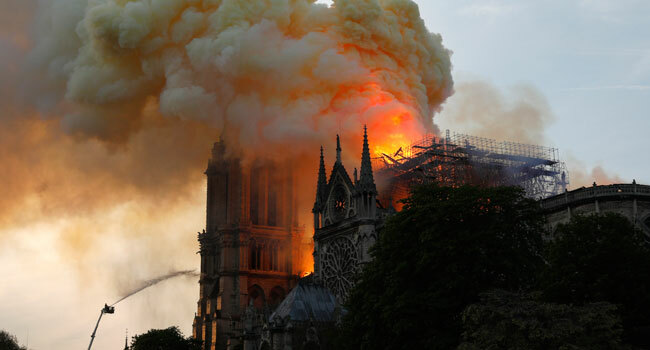 Tragedy struck on Monday in France as a fire swept through the roof of the famed Notre-Dame Cathedral in central Paris on Monday evening, sending flames and huge clouds of grey smoke billowing into the sky. 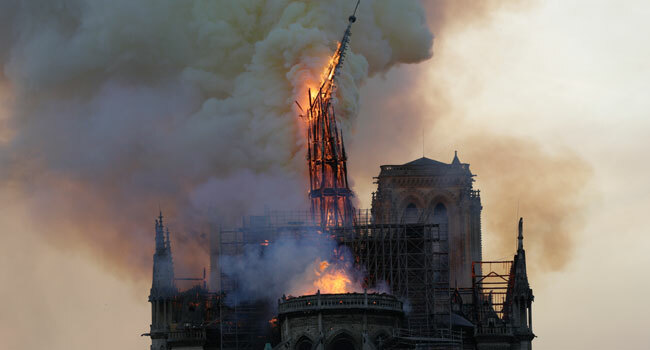 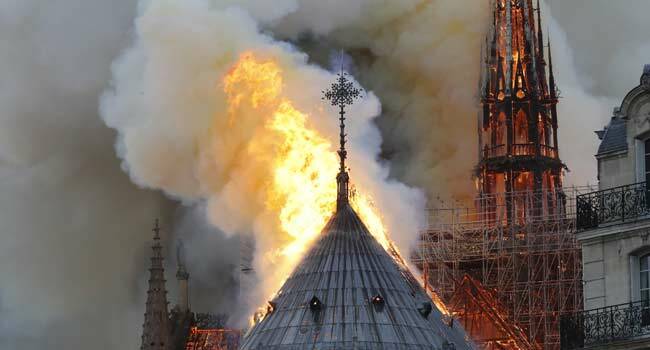 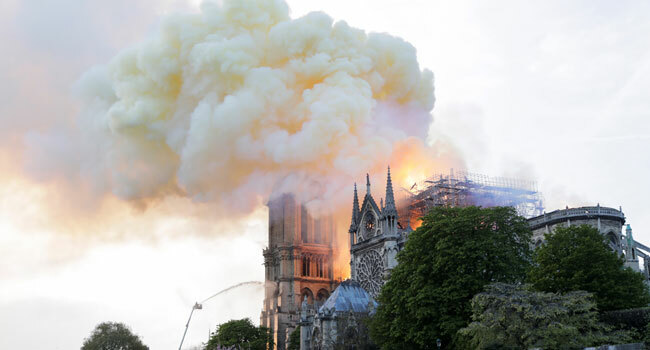 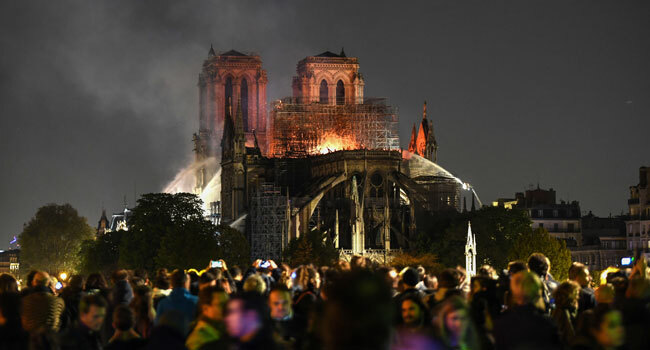 Although the fire service said the blaze could be “potentially linked” to ongoing renovations, a spokesman for the cathedral, however, stated that the wooden structure supporting the roof was being gutted by the blaze. 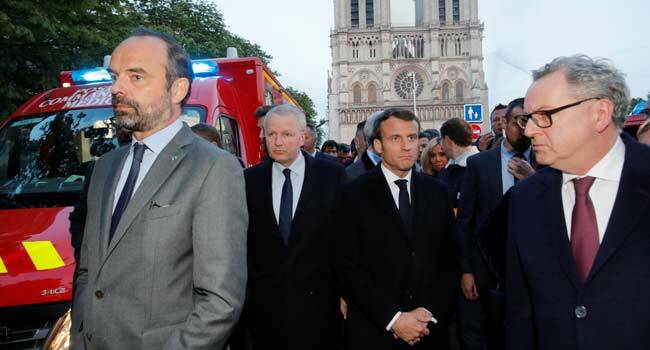 Following the inferno, President Emmanuel Macron was forced to cancel a major televised policy speech he was due to give later in the evening. 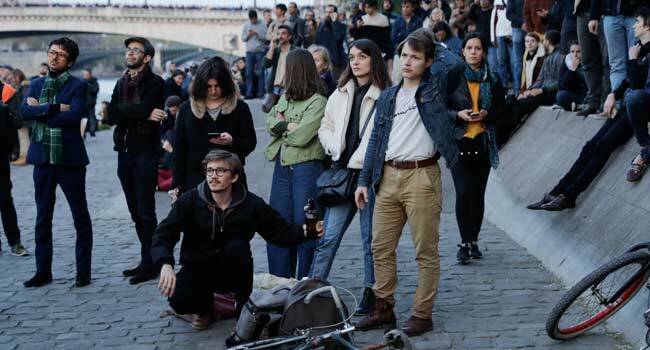 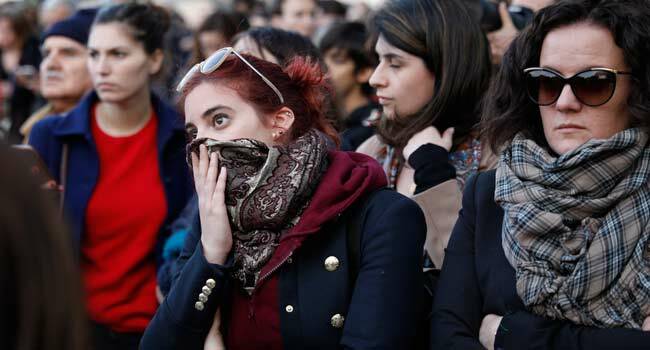 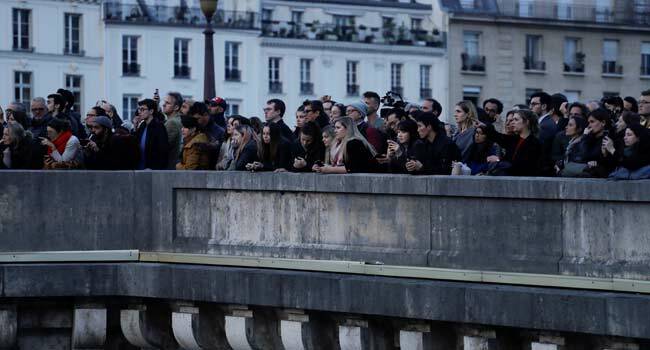 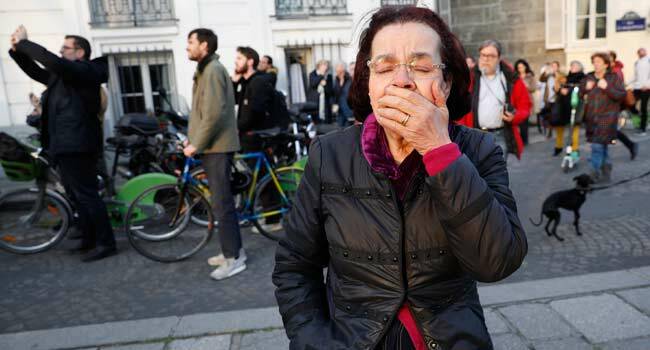 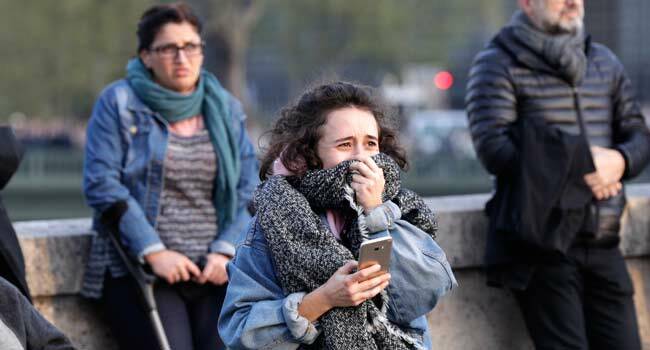 Many French citizens were still reeling in shock as they watched in disbelief the building consumed by the flames.